My mother is in her 70’s and in good health except for debilitating knee arthritis. After considerable research and second opinion (a bad spine surgeon misdiagnosed her knee pain as sciatica), she underwent elective total-knee replacement of her left knee with a Stryker Triathlon implant. Her surgeon was Dr. Vivek Sahai who operates out of Riverside Hospital, in Columbus, Ohio. The surgery went well. Several days after surgery, she was eating and tolerating physical therapy, but was taking Oxycontin. I am too aware of the dangers of opioids, and that worried me. Upon discharge, a crucial mistake was made by the social workers. They sent her to a “rehab facility” near her home. However, it was a scam. It was nothing but a long-term nursing home and hospice that was trying to get the more lucrative “rehab” patients. My mother did receive adequate physical therapy in this nursing home. The visiting PT staff seemed fine. However, the problem was with the nurses who were understaffed for acute care patients. They were also of the “DNR” mindset, since most of the patients surrounding my mother were frail, elderly, or demented. On Post-Op-Day 11, my mother was complaining of several days of opioid-induced constipation. After oral laxatives failed to work, she developed painful cramps. She is not the type of person to complain or malinger, and her moans of agony as I spoke to her on the phone were shocking to me. The nurses were dismissive. They were nice enough. They could have been worse. But nevertheless, if it were up to the nursing home staff, my mother would have stayed in bed and become dangerously dehydrated. On the evening of POD 11, I arranged for her to be sent by ambulance back to Riverside Hospital. I got in touch with her surgeon and also informed the ER team. By pure coincidence, the general surgeon on call that night was Dr. Rob Toscano: my former Chief Resident when I was doing my surgery rotation as a medical student at Ohio State. Rob and I had a very successful month back in 1995. I was able to give Dr. Toscano crucial background history on my mother that allowed him to steer away from wrong diagnoses. For example, he told me later that after the first examination of my mother, his residents all wanted to diagnose her with peritonitis. Dr. Toscano told them, “How many patients with peritonitis have a smile on their face?”. After a CT-scan ruled out bowel obstruction or perforation, the diagnosis of colitis was made. The large bowel walls were thickened and the SMA had some signs of arteriosclerosis. Her urine output was dangerously low. The surgeons hydrated her through an I.V. and monitored her renal function and lactate. She slowly recovered. The opioid pain medicines that caused the constipation and subsequent bowel ischemia were discontinued. On POD 14, my mother began to walk on her leg with the new knee, unassisted, without the need for opioid pain medications. She seemed to be unaware of the major milestone that this represented, and mentioned it only in passing. On POD 16, still an in-patient at Riverside Hospital, my mother was discharged directly to home, not to a rehab facility, with orders for visiting physical therapy services. My mother’s case is a very unusual one because her son is a surgeon, and the team taking care of her knew me personally and gave her VIP treatment. I was acting as her primary care doctor, communicating several times a day with the nurses and doctors, and her family. I spotted the opioid-induced constipation as a critical problem early enough to prevent bowel necrosis or renal failure. But how many millions of elderly patients are sitting in nursing homes right now, overmedicated not only on opioid pain pills, but also on sleep aids, antipsychotics, and other medications to shut them up and make life easier for the nursing home staff? The medical doctors who sign off on the prescriptions and care of nursing home patients are often poorly trained, and rarely visit the facility. In my mother’s case, despite being in what was supposed to be an acute care rehab center, the doctors in charge handed off the patients to other doctors in their practice, and were completely negligent. They never would have spotted my mother’s complaints until it was too late. The misuse of prescription medication by seniors has the hallmarks of an “emerging epidemic,” says Wilson Compton, a psychiatrist and deputy director of the National Institute on Drug Abuse, part of the National Institutes of Health. No other segment of the population is prescribed more drugs than seniors, and none faces higher risks of complications. “The elderly take more prescriptions than other people partly because they have more (medical) conditions, (and) there are special concerns about prescribing to these people,” says Leonard Paulozzi, a CDC epidemiologist specializing in drug-related injury. About one in every four adults 50 and over use psychoactive medications — mostly opioids for pain and benzodiazepines for anxiety. And because older bodies metabolize drugs less quickly, those medications tend to build up in their bodies.”. There is a happy outcome with my mother. She is back home, walking pain free with her new Stryker knee. She still posseses her entire GI tract and nothing was resected by surgeons. But things could have been so dramatically different. American doctors and nurses have been told for so long that it is “inhumane” to not treat pain. Somehow, during this indoctrination funded by the pharmaceutical companies, prescription opioids have become designated as the one and only way to treat pain. NSAIDS and Tylenol are never prescribed by any self-respecting doctor for post-operative pain. Why is that? It is time for the real deadly complications of post-op pain pills to be factored into the equation. They should not be prescribed with impunity. 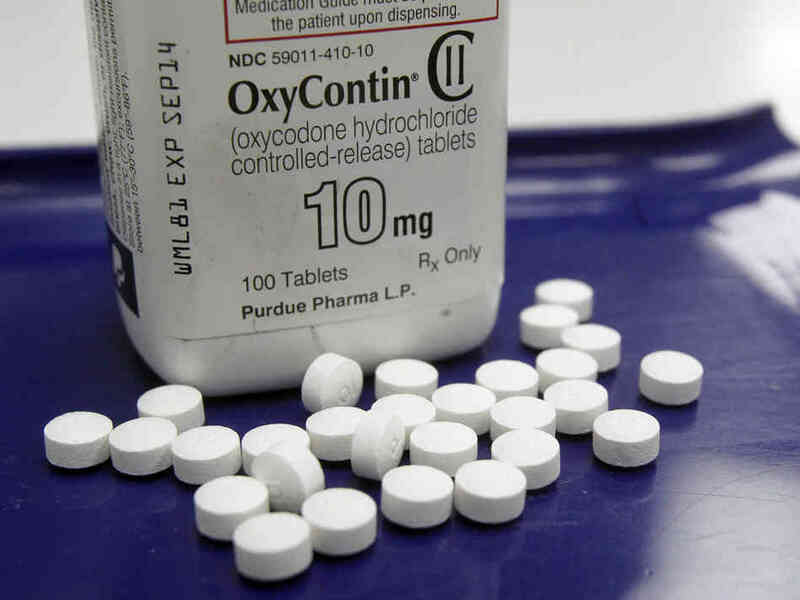 Oxycontin and Vicodin are not fun little treats to give patients. They have deadly consequences. This entry was posted in - Opinion, - Policy, CDC, Congress, FDA, Orthopedic surgery, Plastic surgery. Bookmark the permalink.